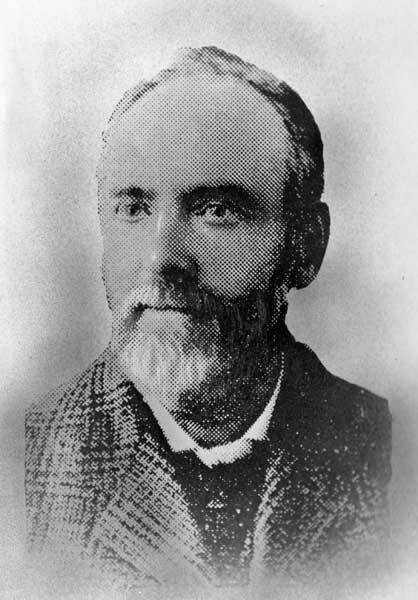 Lawyer, MLA (1883-1886), Mayor of Winnipeg (1885), MLA (1886-1888). Born at Rochester, England in 1844, he came to Winnipeg from St. Catharines, Ontario in 1881 to practise law with J. A. M. Aikins and William H. Culver. He ran for Mayor on the citizen’s ticket in 1884 and won. In a February 1885 by-election, he was elected Conservative MLA from South Winnipeg, then from Shoal Lake in 1886. From 1885 to 1888 he was Attorney-General of Manitoba, his chief accomplishment being the introduction of the Torrens title bill which reformed the Manitoba land registry. On 10 January 1884, he married Alexa Ashworth (?-? ), third daughter of John Ashworth of Ottawa. He left for St. Paul, Minnesota in 1888. In 1897, Hamilton was Vice-President of the Pacific and Oriental Investment Company at St. Paul  and, by 1913, was British Vice-Consul there. He died in his St. Paul home on 25 May 1919, survived by a widow, one son, and three daughters. He is commemorated by Hamilton Avenue in Winnipeg. 1. Daily Nor'Wester, 15 February 1897, page 4. 2. “Former Mayor sees big change”, Manitoba Free Press, 7 October 1913, page 4. “Former Winnipeg Mayor, 73 years old, dies in U.S.,” Winnipeg Tribune, 26 May 1919, page 1.